Calcite is reputed to boost the memory and sharpens mental clarity. It has a calming effect on the mind and helps you to gain more insight from books and personal experience by making important information easier to remember. It is beneficial to the cleansing organs, the bones and joints and is popular with athletes as it aids bones and joints which may become stressed or injured during practice or competition. 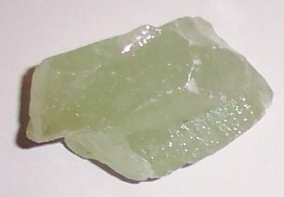 Green Calcite is particularly useful for children having difficulty adjusting to the challenge of education. It can be worn or carried to draw money and prosperity.